If you’ve been to Lanzarote and have stood on the Famara cliffs, or you’ve admired the views from Mirador del Rio, you’ve probably wondered about that tiny mysterious island on the other side of the water. It is the island of La Graciosa, and it’s a true jewel of the Atlantic. But how do you get there? And is it even worth going? 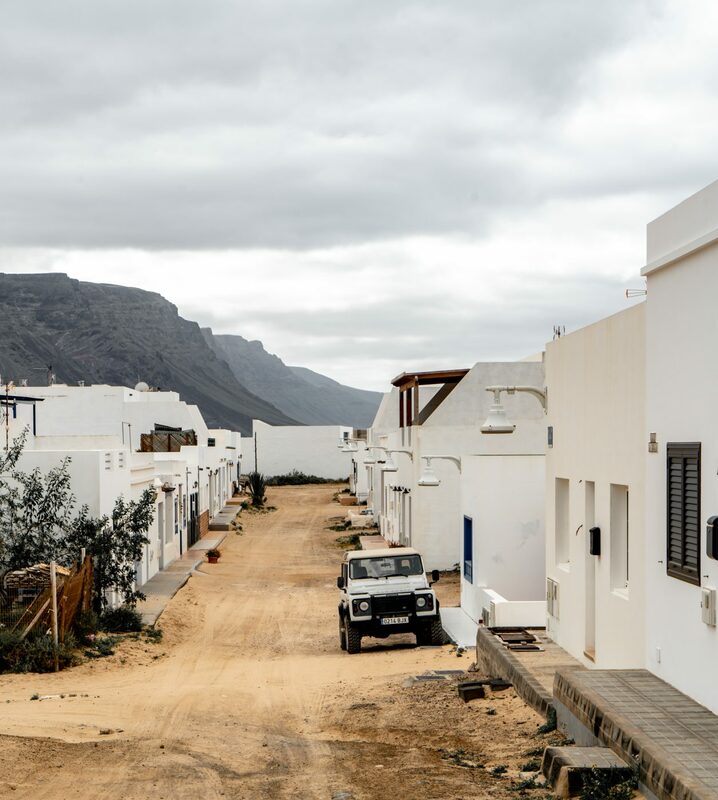 Here’s everything you need to know about visiting La Graciosa. The only way to get there is to take the ferry, which runs from the town of Orzola in the northwest of Lanzarote. There are two ferry lines running regularly, about every hour: Lineas Romero and Biosfera. A return ticket costs 20 euros and there’s free parking near the harbour. If you’re going to La Graciosa with one of the two ferry operators, make sure to return with the same ferry and don’t miss the last one! It takes about 30 minutes to get there but it’s not for the faint of heart! The sea can be extremely rough at times so prepare for a bumpy ride! No paved roads, no traffic! Upon arrival, you immediately notice why this island is so special. La Graciosa is one of the last places in Europe with no asphalted roads (no concrete either, haha). This means that there’s almost no traffic! Very few inhabitants have cars. I mean, why would they? Where would they drive to? The only traffic you’ll be seeing are a small amount of 4×4 jeeps to take tourists around the place. All other transportation is done by mountainbikes or on foot. La Graciosa is the least explored and most secluded island of all inhabited Canary Islands. 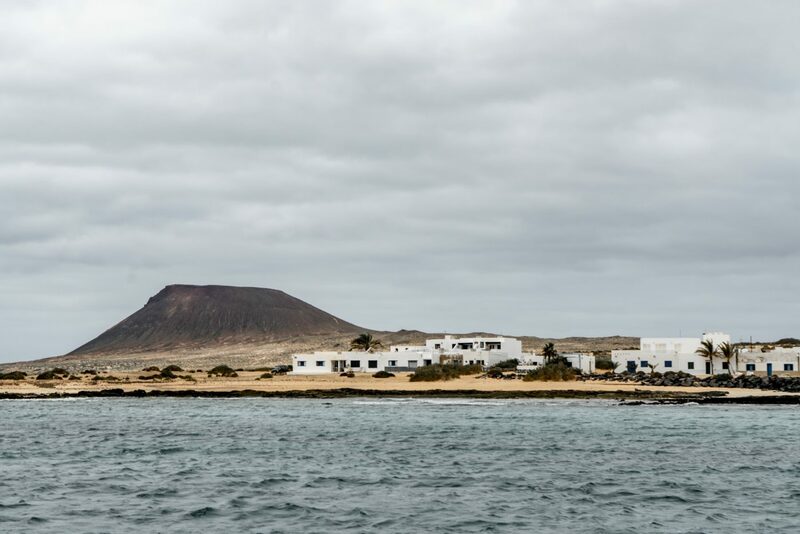 The capital of La Graciosa, if you can call it a capital, is called Caleta del Sebo and is the only inhabited place on the island. All 600 inhabitants live there and it’s also the place where the ferry arrives. Pedro Barba also has a few houses but these are summer residences. It makes you wonder what the inhabitants actually do all day. Some live off tourism, serving food or renting bikes. But that’s about it. I noticed a few children among the inhabitants which made me wonder if there’s a school on the island. 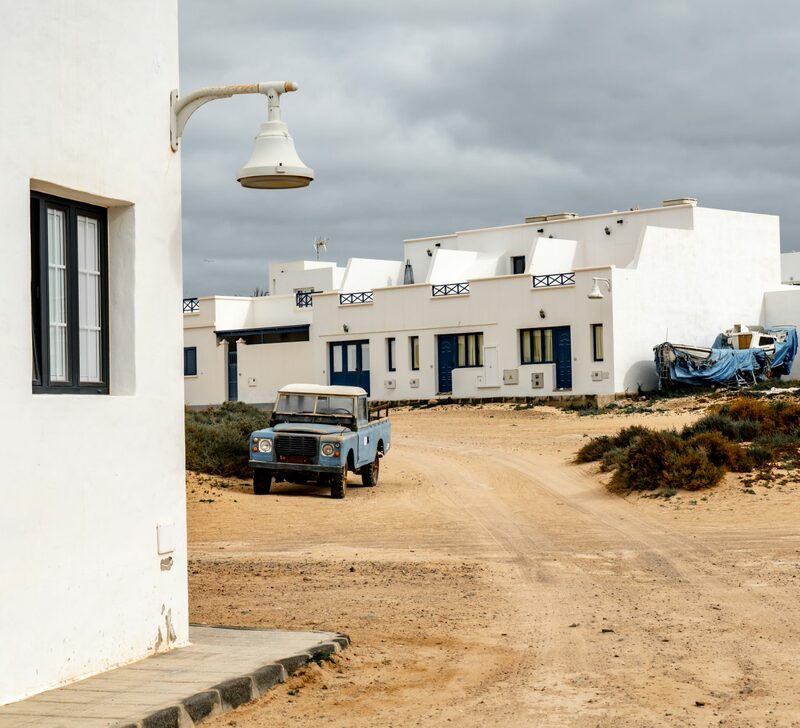 La Graciosa is that kind of place where a disobedient police officer is transferred to due to a disciplinary sanction. It would make a great movie plot! Don’t expect too much of Caleta del Sebo though, the whole place looks like a construction site. Tourism has been around for ages so I have no idea why they haven’t finished the place. I guess it’s due to the laidback mentality of the islanders! The underdeveloped town brings up flashbacks of Spain in the sixties, before mass tourism happened. 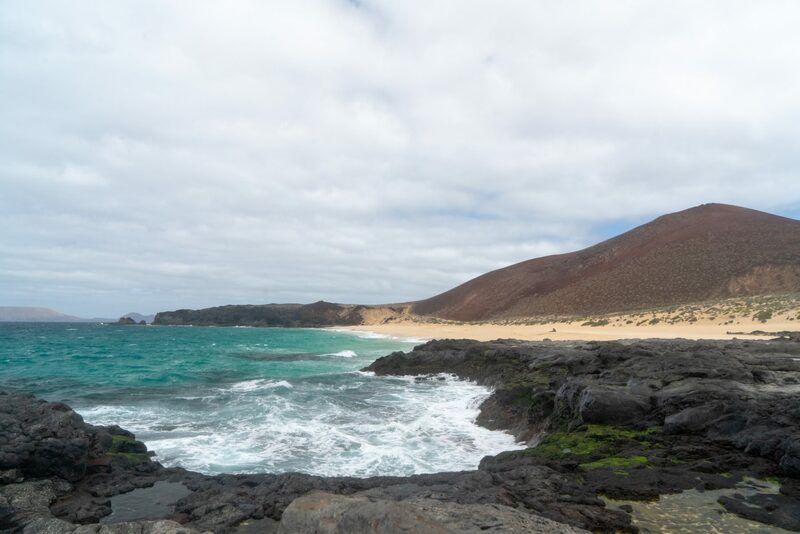 So what is there to do on La Graciosa? Not much, but that is exactly the appeal. You can explore the island on foot and head to one of the secluded beaches. La Francesca Beach is very close to Caleta del Sebo, Playa la Concha is a beautiful alternative on the other side of the island. Make sure to take sunscreen with you! I was there in January and I got sunburnt on a cloudy day. If you don’t want to walk, you can do a jeep safari which will take you to the main natural attractions. And as I mentioned earlier on, there are also a couple of places in Caleta del Sebo where you can rent a mountain bike. There are quite a few trails to choose from. Riding a bike on sandy trails can be demanding if you’re not used to exercising. Don’t forget to buy a bottle of water! All restaurants are in Caleta del Sebo. Although locals think of El Marinero as the best restaurant on the island, you can’t sit outside which makes it less appealing for tourists; In my opinion, Restaurant de la Tierra and Girasol are the best options. Both offer great views of the harbour. El Veril, located adjacent, has great summer vibes as you can even sit on the beach! I haven’t tried El Veril myself, the fact that there was a waiter inviting you in made it less appealing for me and is usually an indicator of a lesser quality. Can you stay on La Graciosa? Yes you can! Although I must mention that one day on La Graciosa is more than enough, given the limited points of interest. However, if you do want to stay longer, you have a couple of options: No hotels, but there are a couple of guesthouses, villas and apartments you can rent from locals. For the backpackers there’s also a campsite with showers and bathrooms. So that’s basically everything you need to know about visiting La Graciosa. The fact that there are no paved roads, no traffic and limited tourism makes the lovely island of La Graciosa very much worth visiting! After spending the day on this marvellous island, you’ll return to Lanzarote with a relaxed state of mind! On Lanzarote there’s also loads of stuff to do! Head to my Instagram to see more pictures, or read along to find out what are the top Cesar Manrique attractions in Lanzarote. 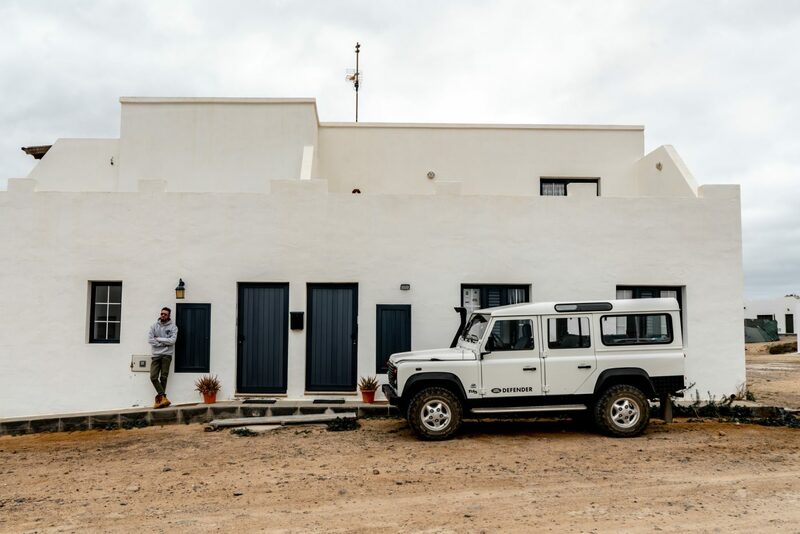 And if you’re looking for an intimate place to stay, make sure to check out Villa Delmas, located in the tranquil geen oasis called Haria. This trip was supported by Turismo Lanzarote and the Spanish Tourism Board in Belgium (Turespaña). I’m very thankful for the opportunity to visit the marvellous island of Lanzarote. However all opinions remain my own.